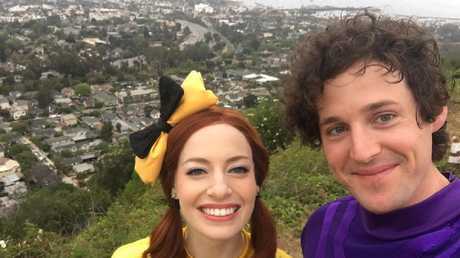 Purple Wiggle Lachy Gillespie said he loves (yellow Wiggle) Emma Watkins now more than ever. 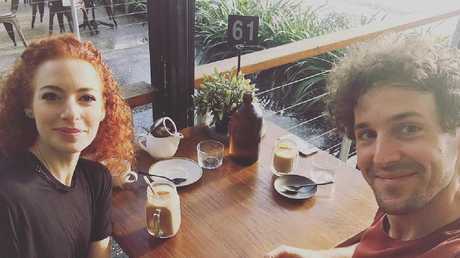 EVEN through a major breakup, Lachy Gillespie has showed his positive, Wiggly side, revealing he loves Emma Watkins now more than ever. The couple, who announced their shock split earlier this month, had dropped the news on fans like a hot potato. And while they chose to go their separate ways, they confirmed they would continue performing together in popular kids group the Wiggles. For the first time since their shock separation, Lachy has opened up about their relationship, telling the Herald Sun's Page 13 that they are the best of friends - "we always have been, that's how it started." He said they were like any other couple and just realised they had reached a stalemate in their seemingly picture-perfect relationship. "To be able to realise as a couple that we were going different ways and to stay as close as we are is a real testament, I think, to both of us," he told the publication. "I love her more now than anything and she loves me more than anything." "We had such a connection at the start and in a way it has got stronger through the whole separation. "We have got to that point that we know our paths have changed and things were not working as a couple. But all we care about is the children who watch the show. That's how it started and that hasn't changed." The colourful duo, who were married for two years, said they "shared the most beautiful life together" when they announced their split. They first met around 2010, when they were touring the Dorothy the Dinosaur show, and began dating about three years later. "Throughout that period, we have performed hundreds of shows together and that is always a continued source of joy for us both," the couple said in a statement in early August. News of their marriage collapse came just weeks after yellow Wiggle Emma, 27, spoke about her ongoing and painful battle with acute endometriosis. She had to take time out from a national tour to have surgery for her chronic condition - which affects one in 10 women in Australia. 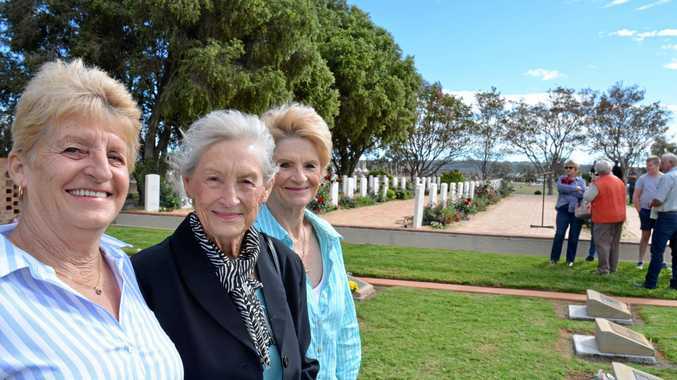 "Over the last couple of years I had noticed a lot of pain," she told Today host Georgie Gardner in April. "I think even as a girl you are just used to dealing with what you have to deal with, and I think as it started to progress to get a little bit worse, I thought I should get it checked out." Lachy, 32, told Page 13 that their break up had meant Emma could now focus solely on getting well. The popular couple announced their separation earlier this month. "She is still really tired," he said "and just really concentrating on getting better". Lachy said he moved out of the house they shared in Sydney after going through a trial separation since February. 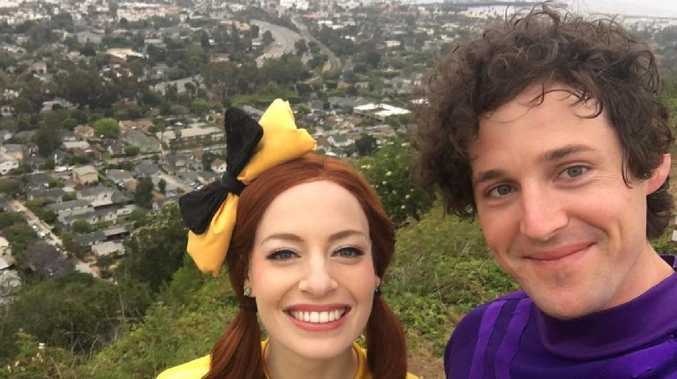 Emma was the first female to join the Wiggle supergroup in 2012 after Wiggle Sam Moran was dumped. Lachy told the publication they had at first kept their relationship a secret, such was their love for the fans. "We didn't bring our relationship out early, we waited because of the shows to see how it was going." Their split has not caused any group dramas, Lachy confirmed, saying they are now stronger than ever, even working around-the-clock this week on the latest spin-off, a new Emma series. "For the four of us it is all about the music, that's all we have ever wanted to do," he told Page 13. "We have just done this Emma TV series and the music just keeps getting better and better, every time we are in the studio. "It's only just got started really."